Gordie Howe played an astounding 25 years for the Detroit Red Wings, easily the longest tenure by any player with a single team. He retired in 1971, having just turned forty-three, and then made a comeback two years later with the Houston Aeros of the World Hockey Association. That match made sense — it gave the fledgling WHA a big name to sell while also giving Howe a chance to play with his sons Marty and Mark — but it was jarring for hockey fans. Gordie Howe in anything other than a Red Wings jersey? It seemed plain wrong. Well, if you think the sight of a silver-haired Howe in Aeros blue (or, later, Whalers green) must’ve been odd, try to imagine him in his prime, wearing the red, white and blue of the New York Rangers. It nearly happened. The Rangers were the first NHL team to see something in Howe. Specifically, it was scout Fred McCorry who spotted a fifteen-year-old Howe in Saskatoon back in 1943 and convinced him to come to the Rangers’ training camp. In those days, it wasn’t unheard of for teams to sign players that young, locking in their rights well before they would ever skate in the NHL. The invitation represented a fantastic opportunity for Howe, but it made for a different experience. 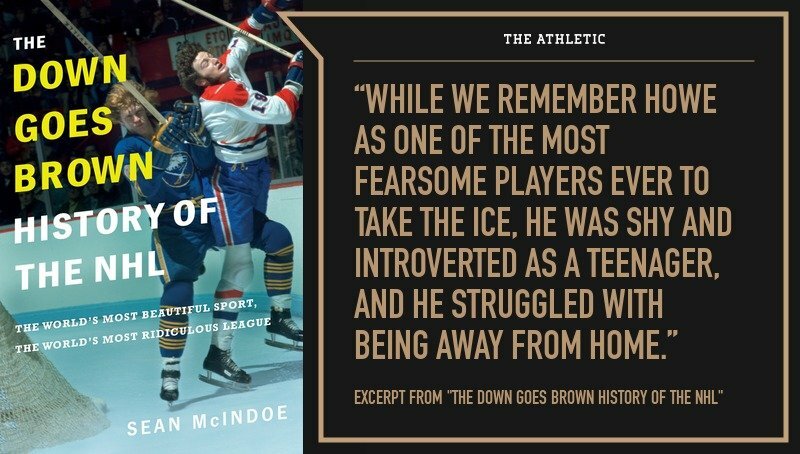 While we remember Howe as one of the most fearsome players ever to take the ice, he was shy and introverted as a teenager, and he struggled with being away from home. To make matters worse, the Rangers’ veterans decided to give the new kid a hard time. They made fun of him for not knowing how to put his equipment on properly (he’d never owned a full set) and stole his food when it was mealtime. Howe was miserable, and eventually he decided he’d had enough. The future Mr. Hockey walked away from camp and headed back home to Saskatoon. Later that winter, Red Wings scout Fred Pinckney got a look at Howe and invited him to Detroit’s off-season camp in Windsor, Ontario. This time, the veterans left the kid well enough alone, and Detroit coach Jack Adams liked what he saw. The Red Wings offered Howe a contract and he agreed. How does hockey history change if those 1943 Rangers ease up on a nervous teenager? It makes for another one of those great “what if?” arguments — although in this case, it’s probably one that Red Wings fans would rather not think about. Ironically, Howe’s younger brother Vic had a brief NHL career of his own in the 1950s, scoring three goals in thirty-three games spread across three seasons … all of them with the New York Rangers. 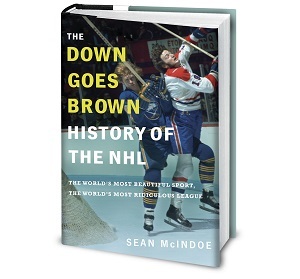 Excerpted from “The Down Goes Brown History of the NHL”; by Sean McIndoe. Copyright © 2018 Sean McIndoe. Published by Random House Canada, a division of Penguin Random House Canada Limited. Reproduced by arrangement with the Publisher. All rights reserved. Wow! An interesting story! To be honest it’s hard nowadays to find something worth to read in the ocean of junk information. What really impressed me lately is this website https://medium.com/@sbaranowski70. As for me it’s a concentration of useful tips and informative articles. And what do you think about it?